At our model center in Austin, TX, our homes, our service and our sales team are second to none! Check back to our website regularly for our latest special offers, home, news, and more. Call (512) 385-8766 or Come see us today! Fantastic New Factory Model Center Exclusive Floorplan! The BIG BEND! Brand New Floorplan from the Austin Factory! And you can only see it here at the Factory Model Center! This Huge 2356 Square foot 4 bedroom 2 bathroom is incredible! Put Our Customization Experience To The Test! 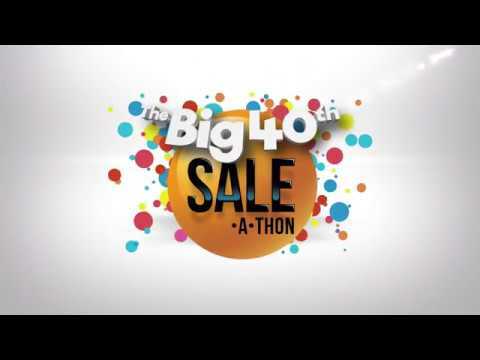 In honor of Palm Harbor's Big 40th Sale-A-Thon, we are offering up $15,000 in savings on customized triplewides here at the Factory Model Center! Located directly in front of our Austin Factory, we have years of experience building custom dream homes. Since we offer factory tours, our customers can see their dream home as it is being built. Whether you need a larger home for a growing family or you are finally buying that lake house, our highly experienced staff here at the Factory Model Center will surely find something to meet your needs, and wants. Set an appointment with us to put our knowledge and experience to the test! Palm Harbor Factory Direct is here to answer all your questions! Want to know how to customize a floor plan? Want to know the difference between modular and manufactured? Why Factory built over site built? Palm Harbor Factory Direct has over 25 years of experience in the manufactured housing industry! We can answer all of your home buying questions because of our years of experience! We can help you select your dream home, including customization to fit your needs, tastes, and lifestyles! We can walk you through the process of buying your home, and help you qualify for your new dream home. Palm Harbor Factory Direct is located directly in front of our Austin Factory! 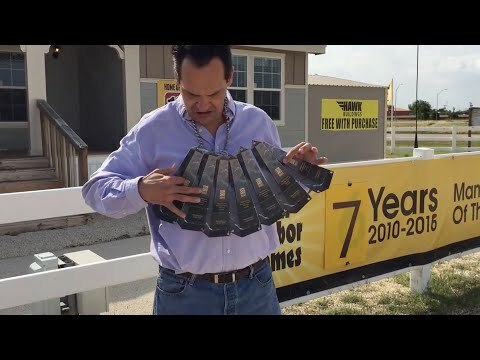 We can show you how your house will be built! Our Model Center has been rated as a “Customer Satisfaction Superstar” for years because of the steps we take to inform our customers. Call 512.385.8766 today and let us answer your questions! September Special!! 3 Floorplans 3 Great Deals! Palm Harbor Factory Direct is offering a HUGE DISCOUNT off of 3 Special floorplans this September! Place your custom order for any of these 3 floorplans at Palm Harbor Factory Direct in the month of September and receive $5000 off!! All 3 of these homes are built right here at our Austin Factory!! There are limited appointments available!!! Call us today at 512-385-8766 to reserve your appointment! That’s right folks, we won again. That makes seven straight years we have been voted the Manufacturer of the Year! Each year members of the Manufactured Housing Institute recognize outstanding industry leaders. Receiving this distinguished honor for a seventh time is a testament to the quality of our people, our homes and our customers. We build great homes and we are proud to support our industry! 4 Bedroom 2 Bath New Homes Starting at $435 per mo* - A/C Included! Low E Thermopane windows INCLUDED at this amazing low price! Sound too good to be true? It's not. Because of some special builder incentives from our building partners and some special financing from one of our finance partners, CSL Financial, we are able to sell two homes at an all time low price and an all time low interest rate and pass that amazing savings on to YOU in this Limited Time Offer! Our partners are only allocating 100 of these packages for our customers. Once they're gone, they're gone. Don't let this amazing opportunity to own your own new home pass you by! Give us a call today! The two models are the 32564V and the 32624V - Give us a call or request information to get the floor plans and more details for these two great homes! *The advertised terms assume a qualifying FICO® score of at least 650 over 240 months with a minimum 10% down payment on Fleetwood Model 32564V Manufactured Home or Fleetwood Model 32624V Manufactured Home. Loan terms include seller-paid buy down points of between 2% and 3% of the amount financed on Fleetwood Model 32564V Manufactured Home or Fleetwood Model 32624V Manufactured Home. The percentage of seller-paid buy down points depends on borrower's credit profile (including, without limitation borrower's FICO® score). The seller-paid buy down points reduce the interest rate to a fixed Annual Percentage Rate of 6.99% throughout the term of the loan. Any fixed payment amount shown applies throughout the term of the loan, but does not include additional amounts for applicable taxes and insurance premiums, which vary by location. This is an advertisement for a promotional loan product with limited availability, which may not be available in all areas, and which is subject to underwriting approval by CSL Financial, LLC. Information, data, or terms are subject to change without notice. Copyright ©2016 CSL Financial, LLC., NMLS 959454, Equal Housing Lender, P.O. Box 661527, Birmingham, Alabama 35266.